The Cardinals seemed to have everything well in hand Sunday afternoon in Heinz Field in Pittsburgh, with Carson Palmer playing pitch and catch with wide outs, the run game doing well, and the defense dominating Mike Vick and the Steelers. Then, just that fast, it all changed. The Steelers using little known third string QB Landry Jones, who was the backup Sunday with Ben Roethlisberger on the shelf, entered the game for the injured Vick and went wild, throwing for 168 yards as the Steelers stunned the Cards 25-13. The loss put Arizona at 4-2 on the season, this after they held the halftime advantage in yards 279-59, but led the game just 10-3. Jones was the story, hitting on 8 of 12 passes with two scoring throws to Martavis Bryant, who finished the day with 137 yards and two scores. Palmer threw for 421 yards with a touchdown and two interceptions. 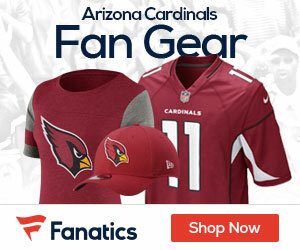 John Brown caught 10 balls for 196 yards but the Cardinals collapsed in the second half. The Cards D was dominant against the Steelers in the first half, as they held Vick to just 3 of 8 passes for 6 yards before he was shoved out of the game in the third quarter with a right hamstring injury. It was probably the worst thing that could have happened to the Cardinals, as it brought in Jones who never made a mistake. 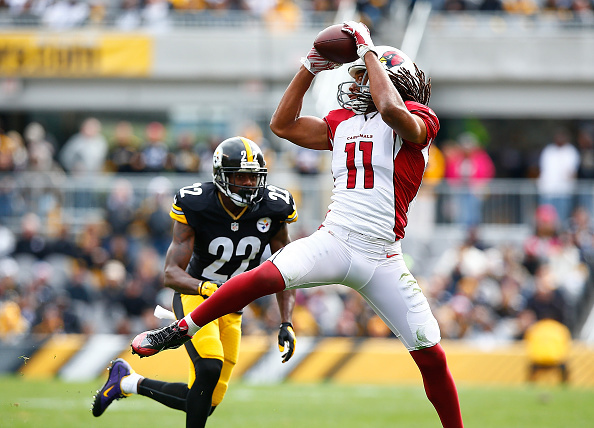 ”We were throwing the ball around the field,” Arizona wide receiver Larry Fitzgerald said of the wasted first half. Fitzgerald finished with eight catches for 93 yards, but it was all a waste with how well Jones came in and played, much to the disgust of Cards fans everywhere.